Many businesses and even homes seem to bypass the fall and Thanksgiving seasons in favor of early Christmas decorating. 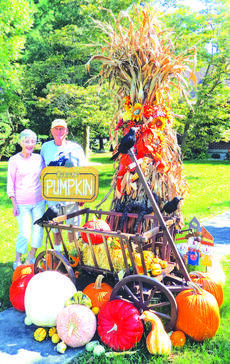 Several people in this county, however, refuse to join the Christmas rush and, instead, are sharing the beauty of fall as their home displays welcome the season to its rightful place between summer and winter. 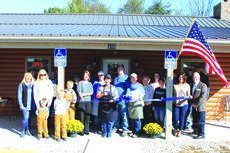 The LaRue County Chamber of Commerce held a ribbon cutting for 224 Farmhouse Diner on Friday, October 19, 2018. If you answered, “Pickles,” you are wrong! 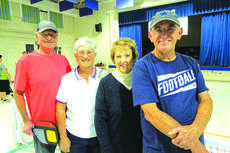 Pickleball is actually played with a solid paddle made of wood or high-tech composite and a plastic ball with holes, similar to but a little smaller than a wiffle ball. It’s played on a court the same size as is badminton (20×44 feet) with a net height that is 36 inches at the sidelines and 34 inches in the middle. Halloween is an exciting time of year for children, complete with fun traditions like trick-or-treating, pumpkin carving and wearing colorful costumes. These fun festivities, however, can sometimes be dangerous too. This Halloween, KentuckyOne Heath is encouraging families to practice caution and follow a few helpful tips to stay safe. 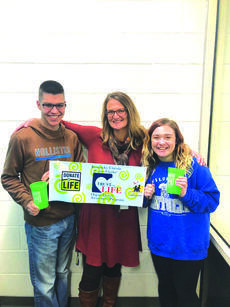 Christa McGee, the Community Educator for KODA, explains the process of becoming an organ donor and why you need to become one. The LaRue County High School Band of Hawks continue to survive and advance throughout the marching season as they keep their eye on the prize of returning to the state finals. Last Saturday, the Band of Hawks traveled to Bowling Green for the 2018 Class AA West Regional where they placed 3rd out of 9 overall regardless of class. 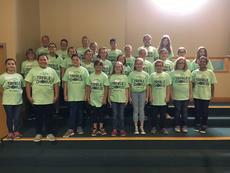 They placed behind Adair County and Glasgow, but above other strong bands such as Casey County, Hart County and Trigg County. 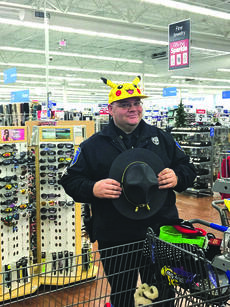 The Hodgenville Police Department is now accepting applications for their Hanging with Heroes program.